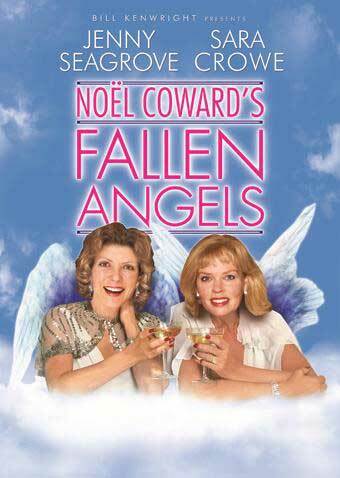 Noel Coward’s comedy comes to town in this new touring production and yet again passes the test of time. Yes, certain words have changed, and so have some attitudes, but the play’s underlying humanity remains the key to its longevity. On the surface, it’s a conventional, drawing-room comedy, of the well-to-do, living the high life, with only romantic complications to contend with. Coward subverts the genre by having two of those characters, Elyot and Amanda, behaving despicably. Divorced from each other for five years, they are both on honeymoons with brand new spouses. But as soon as they meet, the sparks fly, rekindling their former, decidedly destructive passion. They run off together and this is when we get to see them behind closed doors. Moments of intimacy are interrupted by outbursts of violence. The couple sling barbed comments, brickbats and objets d’art at each other. They’re like Japanese fighting carp, unable to co-exist in the same space without conflict and yet needing each other in order to exist at all. Laura Rogers is spot on as Amanda, combining cool elegance with hot-headed passion, often in the same epigram. Tom Chambers’s Elyot may not be able to match her in managing the plummy language but his physical comedy and his double-take reactions are superb. Of course, his Strictly background comes out: the couple dance a loose Charleston in their Paris flat, a lovely moment in contrast with all the verbal bombardments. Director Tom Attenborough allows Chambers to play to his strengths, giving him plenty of larger-than-life comic business. Richard Teverson gives strong support as Amanda’s fuddy-duddy second husband, Victor, while Charlotte Ritchie’s Sybil, Elyot’s second wife, encapsulates the innocence of the era – that is until she loses her rag with the infuriating Victor in a tremendous loss of temper, enabling the show to finish on a moment of high comedy. A magnificent performance – you wouldn’t think Sybil would have it in her. Lucy Osborne’s set hints at the glamour of the south of France, with its art deco hotel balconies and also grounds us in the cosy chic of the stylish apartment, contrasting the airy public spaces with the solid, private rooms. It is behind closed doors that we reveal who we really are. Of course, it is Coward’s audacious script that is the star of the show. The wit effervesces like champagne while the undercurrents of the characters’ true natures bubble to the surface in shocking glimpses. Elyot and Amanda deserve each other but Coward is also showing us that behind the public façade, even the most rarefied creatures have hidden depths. A thoroughly enjoyable production of an absolute classic. Noel Coward’s comedy is like champagne, with its sparkling, effervescent wit and dry humour, and it’s easy to regard it as a light bit of froth. This comedy, though, has bite. The Octagon Theatre Bolton brings this production to the New Vic and it’s a good fit for the space. In the round, we are the walls surrounding the private lives of the couple in question. They are Elyot (Harry Long) a louche, witty fellow who seems to speak almost entirely in adverbs (terribly, beastly, ghastly and so on) and Amanda (Fiona Hampton) spirited and lively – it is clear these two are made for each other. Except when the play begins, they are honeymooning with their respective new spouses. Coincidence books them into adjacent hotel suites and, out on the balcony, they meet again, five years after their explosive marriage ended in divorce. It is soon clear that passions still run high between them. Harry Long shifts gear from urbane commentator to man-with-heart-on-his-sleeve, showing us how swiftly Amanda pushes Elyot’s buttons. Fiona Hampton too reveals the depth beneath Amanda’s party girl façade. Director Elizabeth Newman handles their mood swings and escalating rows so that the emotional exchanges and savage remarks sound natural, even in Coward’s of-its-time and epigrammatic dialogue. Jessica Baglow is appealing as Elyot’s sweet-natured second wife Sibyl and Niall Costigan is suitably blustering as Amanda’s second husband Victor. They track their spouses to a love-nest in Paris where passion boils over into violent outbursts and domestic violence. Clearly, Elyot and Amanda are like koi carp and shouldn’t be penned up together, but then they’re obviously made for each other. There is an appearance by Chiraz Aich as French maid Louise, here played as a touch of naturalism in this world of heightened wit and emotion. I have seen the part portrayed as a caricature but I like this better: this Louise is the litmus paper that shows us how extreme is the behaviour of the others. Amanda Stoodley’s design is elegant black and white for the hotel balcony scenes – the polarity of Elyot and Amanda’s mood swings! – and cosy and brown with period furniture for the scenes behind closed doors. We may not speak the way Coward’s characters do – perhaps no one ever did – but he shows us that behind the veneer of civility and what we might call ‘banter’ today, animal passions are just below the surface. Elyot and Amanda run with theirs, thereby triggering similar depths of feeling in their abandoned spouses. Here we go again! Fiona Hampton and Harry Long as Amanda and Elyot.